Benjamin Franklin, in addition to his kite flying electricity experiments, may have been the first American to promote a solution for an overactive bladder. More on that in a moment. Fast forward to modern times and the volume of urinary and overactive bladder remedies being marketed on television (remember the “going and going and going” commercials? ), on the Internet and just about everywhere else makes men – and many women – think that having an overactive bladder is not only common but is the forbearer of even worse maladies. In today’s frenzy of media marketing for just about everything that might ail you, and many things that don’t, an overactive bladder ranks near the top. But, despite the hype for several kinds of medication like Flomax or Vesicare to address problems with an overactive bladder, in many cases simple do-it-yourself methods work as well as or better than prescription medication. Yet, for some sufferers prescribed medication may be the best recourse. This article will hopefully serve as a primer of what you – or someone you know – can do should you need to address the problem. Clearly the days of self-medicating oneself for an overactive bladder are long gone, but Franklin’s dilemma makes evident that though times and treatment methods have changed the problems and concerns relating to an overactive bladder continue. An overactive bladder (sometimes referred to as urinary incontinence) has its roots in the human nervous system. The autonomic (meaning functions that are not voluntarily controllable, like a heartbeat) and voluntary nervous systems usually regulate the amount of urine the bladder is able to hold and expel. Nerves generating from the spinal cord control the muscles that manage the sphincter and determine when the bladder is full and when it is time to release. When bladder control issues become a problem it’s usually because something has gone wrong with this system. The nerve and muscle system that helps to hold and expel has malfunctioned, generally because the muscles aren’t opening and closing correctly. The result is that the slightest pressure – say by coughing or sneezing – can result in leakage. Obstruction of the bladder can also cause higher pressure to build to the point where leakage occurs. Sometimes certain diseases such as multiple sclerosis, Parkinson’s and spinal cord injuries, may affect bladder performance. An overactive bladder can also lead to other problems, such as sexual function issues, and as television and other commercials often dwell upon, restrictions or difficulties when it comes to travel, physical/athletic activities, and in rare occasions problems with kidney function. So how would you know if you’re having a diagnosable case of overactive bladder? Experts say people with an overactive bladder usually have to urinate more than eight to 10 times in a 24 hour period, have an urgent need to urinate (that ‘can’t wait’ feeling), and may experience some ‘wetting’ before they can get to a bathroom. In the U.S. it is estimated that 16 percent of the adult population, or about 33 million people, have the condition. While much of the marketing of products for overactive bladder is aimed at men, it’s estimated that more than one-third of women suffer as well. The estimated cost of medical care for sufferers of an overactive bladder is upwards of $463 million annually. But that’s a conservative estimate and doesn’t include the cost for all the products and services related to treatment and comfort. Some estimates say the cost exceeds $1 billion per year. That would include costs such as institutionalization do to urinary incontinence that, according to the American Urological Association, is the leading reason for nursing home admissions. It’s the sheer size of the market for diagnosis, treatment, and care of and for overactive bladder issues that makes it a marketing bonanza for drug companies, medical providers, and others. The cost of advertising by pharmaceutical companies alone is thought to be nearly $130 million per year, although the exact cost is a closely held fact. There are a number of things you can do to address an overactive bladder problem. They range from simple physical exercises to surgery. Let’s take a look at each of the options. Credit: The Urology CenterCut the Caffeine – if you are a coffee or cola drinker your first step to addressing bladder issues is to cut back. Carbonated drinks, artificial sweeteners, spicy foods, and citrus fruits and juices are known to cause bladder irritation . Caffeine in particular has been shown to have a significant effect on the muscles that control the bladder. A word of caution: experts suggest that you wean yourself slowly from the caffeine habit to a level that will have the desired effect. Going cold turkey when it comes to caffeine is not advised because severe headaches could result. No matter what you may drink in the evening, try to limit your liquid intake prior to bedtime. Try Exercises – Certain exercises can help with muscle control. A pelvic floor exercise, also known as a Kegel exercise, will have you repeating the process of contracting and relaxing your pelvic muscles in order to strengthen them and that helps control your bladder function. A simple web search will locate numerous sites that show how to properly do the exercises. Stimulation – a lesser-known and fairly new method of assisting the bladder muscles become more toned and better functioning is PTNS or Posterior Tibial Nerve Stimulation. This is a non-surgical treatment that stimulates the nerves responsible for bladder function by using a nerve in your lower leg. A medical practitioner will have you sit down with your foot elevated. From that position your tibial nerve is stimulated using a needle placed in your ankle. The electrical impulses travel up your leg to the nerves in your pelvis that control bladder function. A 12-week series of 30 minute sessions are said to cure the problem or require infrequent follow up treatments. As the plethora of marketing campaigns addressing overactive bladder issues attests, there are some major players involved in producing and selling drugs to help people with overactive bladder issues. There are at least a dozen separate prescription products on the market to treat an overactive bladder. Some of the familiar product names include Enablex, Toviaz, Vesicare, Detrol, and Flomax. Which of these or other similar medications may be appropriate for you is something you and your physician should decide after a thorough examination and discussion of the pros and cons of each drug. The drugs can be expensive, sometimes reaching $200 a month, so consideration of options – including available generics – is important. And the choice of drugs is important because there can be side effects such as dry mouth, constipation, blurred vision, and dizziness. Surgery – If all else fails to provide relief surgery may be an option. However, surgery is a somewhat last resort and is advised only for patients who are severely affected by overactive bladder conditions. Called augmentation cystoplasty, a segment of the bowel is added to the bladder to increase the bladder size and allow it to store more urine. Another new area of research involves capsaicin, which is the ‘hot’ in ‘hot chili peppers’ and is frequently the main ingredients in heating gels for muscle pain and the like. It turns out this active ingredient in chili peppers also has an effect on the nerves of the bladder. There are many options when it comes to treating an overactive bladder. While old Ben Franklin may have had to resort to some seriously invasive options, that’s not the case today. Today there are many more and much safer option,s so you could tell Ben to go fly a kite. 1. Letter from Benjamin Franklin to John Franklin, 8 December 1752. History of Medicine Collections. New York: Academy of Medicine. 2. Overactive Bladder in Clinical Practice 2012, 75-82, DOI: 10.1007/978-1-84628-831-9_5. 3. Duthie JB, Vincent M, Herbison GP, Wilson DIain, Wilson D. Botulinum toxin injections for adults with overactive bladder syndrome. Cochrane Database of Systematic Reviews 2011, Issue 12. Art. No. : CD005493. DOI: 10.1002/14651858.CD005493.pub3. 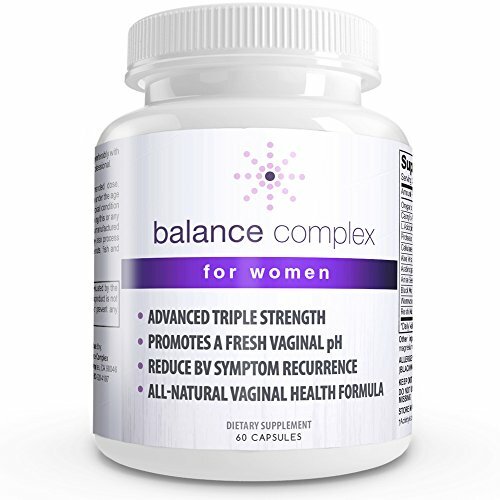 Balance Complex - All-Natural Complete Female Wellness Supplement. Smart Choice Maximum Yeast Balance Support. Daily Supplement for candida support and vaginal freshness as well as natural anti-fungal supplement. Effective for yeast management, balance ph, female bacteria and female candida support, vaginal discharge, smelly discharge, vaginal odor and vaginal itching relief to support bacterial vaginosis with healthy yeast balance, female bladder support and healthy intestinal function. Maximum Strength Daily flora control for menopause support and pms support which consists of Oregano Extract, Caprylic Acid, Protease, L.Acidophilus, Cellulase, Aloe Vera Gel, Arabinogalactan (FiberAid), Anise Seed, Reishi Mushroom, Black Walnut Hulls, Wormwood.